We use Google for everything nowadays, from finding a new recipe to discovering local movie times. With Summer fast approaching, it’s more important than ever to optimize your summer day camp’s online engagement. I’ve found a simple solution that ensures your day camp gets the buzz it needs in the most efficient way possible: Google My Business. Google My Business is a free feature that will make your summer camp stand out to prospective parents looking for the perfect camp experience for their child. It uses keywords such as town names or specific activities to direct the user to a top result near them. Having your summer camp as the top suggestion will direct those parents to your website thus driving more leads. You may recognize this if you search “summer camps near me” and find a small sidebar on the results page like the example to the right. The information box may include the basics of business — directions, website, and contact information. 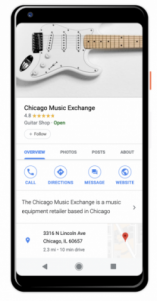 By taking control of your Google My Business account, you can use this to your advantage and provide instant information to every prospective family in your area. First off, be sure you have access to your Google My Business account. Google automatically lists your business with the basics mentioned above. The problem with this basic information is that there’s no personality in this listing. To gain control of this account, you need to claim your summer camp. To claim your summer camp, search in Google My Business under ‘Website’ to see if your business is listed by Google. Then, hit ‘Claim’. After verifying it’s your summer camp, you have access to customize your listing. You can edit your listing as much as you’d like! I’d recommend you add a small description of your summer camp to add personal touches. You can even create posts about upcoming tours, exclusive deals, or share new photos. Google My Business should be treated as a social media account. The higher the engagement, the higher the increase in visibility. When people search “summer camps near me,” you want to be in that search sidebar and part of the top 3 results on the page. Google decides this based on engagement levels. You can see user activity in your account’s reporting page. There, you can see how many people have clicked on your website or called your main office through Google. Based on these results, you can create new Landing Pages that drive more traffic. For example: if you notice people are interested in archery camps in your area and your day camp has a fantastic program, designing a specific page about it will increase visualization. I understand you’ll be busy this Spring/Summer season with preparations. But with simple modifications to your Google My Business account, your day camp can still attract new leads every day! 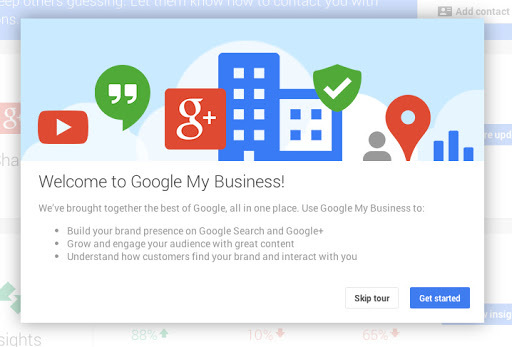 Want to know more about Google My Business? Then don’t hesitate to reach out and we’ll help guide you through Google.